The recent Summit Imaging-sponsored Webinar Wednesday presentation “TEE Care and Maintenance to Lower Total Cost of Ownership” attracted almost 300 healthcare technology management professionals from around the world. The live presentation was eligible for 1 CE credit from the ACI. The webinar provided an insightful message as Larry Nguyen, CEO and CTO of Summit Imaging, and Kyle Grozelle, manager of global education and training at Summit Imaging, disassembled a TEE ultrasound transducer and identified the major components while they explained the vulnerabilities of failure from improper care. Attendees gained insight regarding the variations and effectiveness of cleaning techniques used in different hospitals. The discussion covered how different techniques can impact patient care as well as the total cost of ownership for health care facilities. This educational session also helped by illustrating different efforts to prevent unnecessary damage and costly downtime. The webinar also included a question-and-answer session where the Summit Imaging duo fielded queries from attendees and shared their expert opinions based on years of experience in the field. Attendees chimed in with positive reviews in a post-webinar survey. The Summit Imaging-sponsored webinar received a 3.8 rating on a 5-point scale with 5 being the best possible score. “I feel that this has been one of the most informative webinars I’ve seen. We have had multiple companies go through our facility to educate proper care and handling, but have never really been able to drill down to the reality of what happens to damage these probes during handling,” Senior Manager Sterile Processing K. Thompson said. “Very informative! A great primer for someone new to TEE ultrasound. Thank you,” said T. Flannery, CBET. “It was great to learn something new and become more familiar with equipment that is used in a facility, but be more knowledgeable about,” said R. Helou, BMET. “As usual an excellent presentation by Summit. I appreciate the information and the images of failures. Great info to share with our users,” said L. Shelman, CBET. The overall Webinar Wednesday series also continues to garner positive reviews. “Webinar Wednesday is a great asset for technicians to gain needed knowledge without having to go through the fire of a repair first hand for the first time,” Lead Biomedical Engineering Technician B. Winslow said. “I look forward to these webinars. They are a great way to come together with colleagues to learn a specific topic, without leaving your office,” Senior Manager D. Armstrong said. “Webinar Wednesday, you are just awesome. I’ve attended your webinars a couple of times even when I was in Japan. There were one or two topics that I know I could share in my shop so I made the sacrifice of waking up at 3 a.m. for the webinar but it was worth it. Now I’m back in the U.S. so I don’t have to worry about the time difference. The topics you offer are great, can be applied on the job and are definitely worth sharing not just with other BMETs but also with medical providers,” BMET Instructor J. Seriosa wrote. Attendees of the recent Webinar Wednesday presentation “ACI Updates: What to Expect in 2018” were eligible for 1 CE credit from the ACI. The 60-minute webinar featured Martin McLaughlin, program manager of ACI Certification at AAMI. He informed all certified individuals of the changes in recertification. McLaughlin also educated individuals who are interested in ACI certification of the recent changes to the CBET, CRES and CLES exam forms. More than 300 people attended the live presentation and more have viewed the presentation online. The webinar and the overall series impressed HTM professionals. “I am looking to get my CBET soon and this webinar helped me know how to prepare and what to expect after I get the certification,” shared J. Kinderman, clinical engineer. “This was a very informative and enlightening webinar delving deep into the re-certification requirements and exam restructuring. As always, you have provided spot on information extremely relevant to our field and careers. Congratulations and keep.’em coming,” said T. Johnson, CBET. “This was one of the best Webinar Wednesdays yet. Earning a CBET credit while getting a lesson about all the different ways to earn recertification credit is pretty cool. Thanks for the helpful information,” said J. Smith, BMET. “This webinar was really helpful in clearing up a bunch of questions that my co-worker and I had about getting re-certified,” said H. Rodriguez-Perez, Medical Systems Engineering Technician. “Webinar Wednesday series is a great way to expand your education and earn CEUs in a convenient format,” said D. Minke, BMET. “Thank you so much for providing a constant source of current and relevant information to biomedical technicians. Webinar Wednesday is such an easy way to obtain free CEUs for recertification and with the email notifications, CEUs are finding me instead of me always having to finding them,” said S. Thibodeaux, BMET. 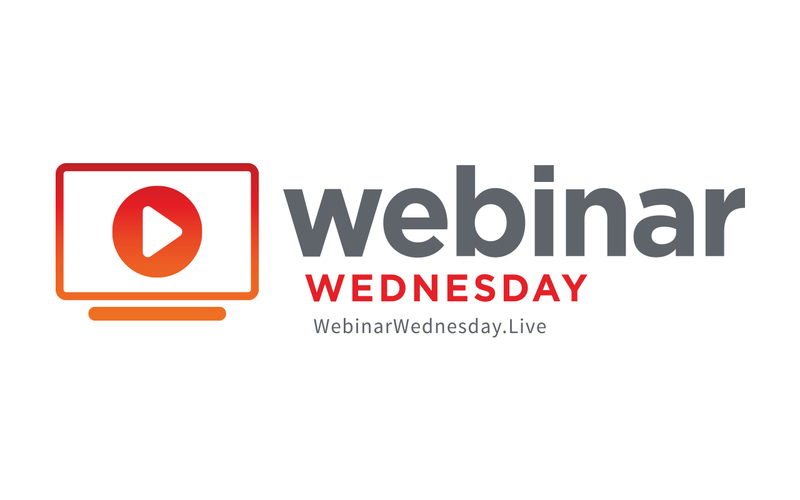 “Webinar Wednesday is a great way to keep up with the industry and industry standards that are constantly changing. Keep up the great work at supplying the great information,” said J. Harwood, Senior Biomed. “I am essentially a one-man shop in biomed for my employer. The opportunity for continuing involvement in issues and presentations through Webinar Wednesday is unmatched. I don’t even have to leave my bench,” Biomed J. Curtis said. For more information about the Webinar Wednesday series, including recordings of previous webinars and a schedule of upcoming presentations, click on the Webinars tab above.